Below are three fabric patterns I designed and hand painted with gouache. 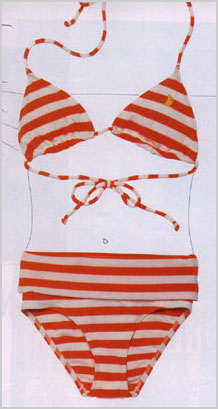 I applied the patterns to the bathing suit using Illustrator and Photoshop. I also modified the bathing suit bottom for a more stylish look.